It must be the season of the DAW. After a bit of a quiet spell, we have DP8 (and moving in on Windows turf), SONAR X2 (announced at about the same time), and Live 9 all coming into relief. 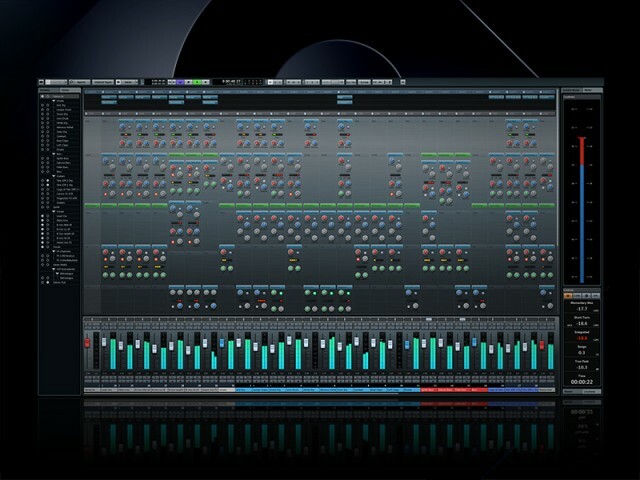 And now, it’s Steinberg’s Cubase 7. The surprise: these audio tools that seem to do everything keep finding more things to do. Generally speaking, you have to twist yourself into a pretzel to describe all those “it does this new stuff” features. That’s okay – developers and users alike built a list of stuff they want, and getting it, under-the-Christmas-style in a big pile, is nothing to complain about. But Steinberg has a theme for this version: mixing. So, with mixing as the focus, they have a new MixConsole, with new channel strips, accompanying EQ and dynamics, all finally integrated into one view. (Oddly, they describe it as “transparent.” So, uh, here’s the thing: digital software mixers are all transparent, unless they follow the recent trend of trying to be less transparent by mimicking the character of analog desks. But, it does look cool.) Cubase has always been a deep, reliable DAW; this fixes a glaring UI oversight. I’ll let the press release explain: “the days are finally over when we opened five plug-in windows per track to get the mix going.” Good. Yes. That’s a good thing. Okay, that and one other theme: chords. Cubase already had a powerful VariAudio feature; while it falls short of Celemony’s latest offerings, it’s one of the more powerful tools for editing audio as easily as notes, inside a DAW. (As pointed out in comments, maintaining the audio pool in the DAW is a big deal.) The new Chord Track now identifies music’s harmonic structure and then provides chord and scale information to VariAudio-processed MIDI and audio tracks. The idea is editing by chord, working with multiple parts at a time. Remixing and vocal harmonization could benefit from this; it’s one of those things we’ll just have to try out. (Those of us who, cough, did spend all that time studying theory shouldn’t necessarily need this stuff, but then that gets interesting for experimental editing.) Steinberg also says it has added: “Hermode tuning technology [that] adjusts flaws of traditional well-tempered scales through dynamic retuning.” Interesting. 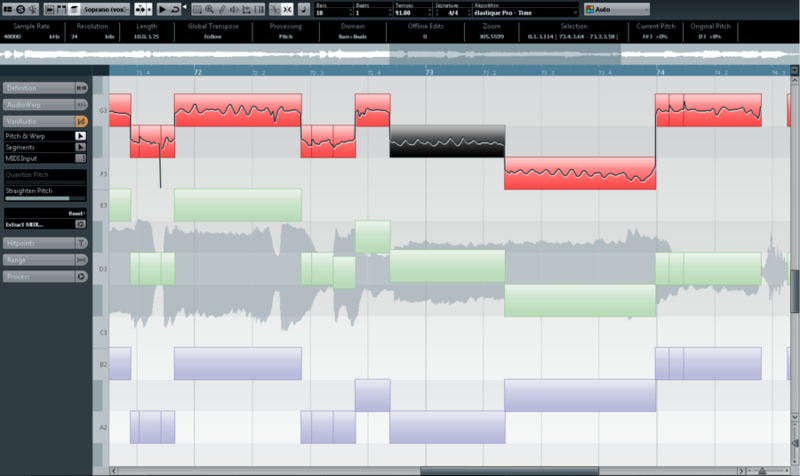 Cubase also adds more in the box, from loops to additional instruments. Channel Zones, View Sets for more mixing view controls, improved tools for linking parameter controls. 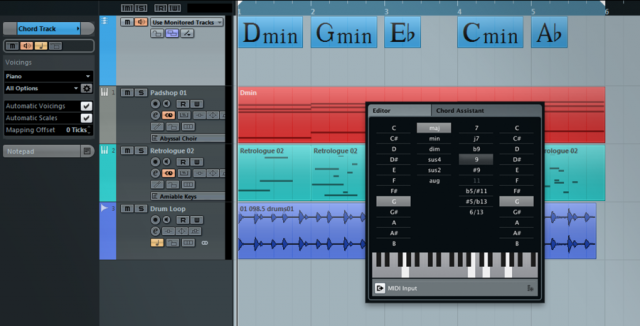 And all the new harmonic features, described above: a chord track, and chord-based editing. US$599.99 retail; artist edition US$329.99. Free downloadable upgrades for anyone who has activated 6.5 since the 25th of October. Chord analysis offers a new way of seeing tracks – and editing multi-track parts and harmonizations. The new channel strip, accompanying the redesigned MixConsole.